A police raid at 12th Street and Clairmount on Detroit’s west side had ignited a firestorm of long-suppressed rage. Rage at a nearly all-white police force notorious for brutalizing and humiliating people of color; at a political structure that marginalized the voices of African-American residents; at schools and neighborhoods that kept integration at bay, and at a future with little prospect for black advancement. So it was that a confrontation at one Detroit intersection led the city to another: decades of economic policies, political campaigns, crime initiatives and social movements, mixed with no shortage of heartache, all meant to reverse the tide of history. ORDER YOUR COPY OF 'THE INTERSECTION' FROM AMAZON TODAY! Thank you for reminding me of what was going on fifty years ago. 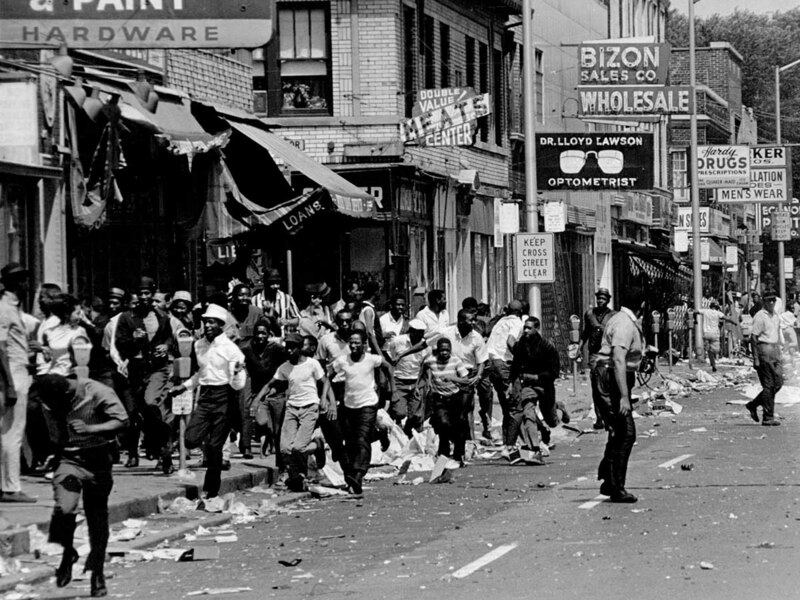 I had a small part in covering a fringe riot in Flint during the summer of '67. I had forgotten much of the underpinnings, though I will never forget covering the Algiers Motel conspiracy trial in federal court in Flint the following year. Tumultuous times, to say the least, and lessons incompletely learned.